Mohammed, his wife Zainab and their four children aged 2, 7, 9 and 12, left Afghanistan in search for safety and reached Lesvos island. There, they lived in Moria for seven months in dire conditions. 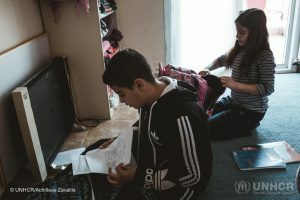 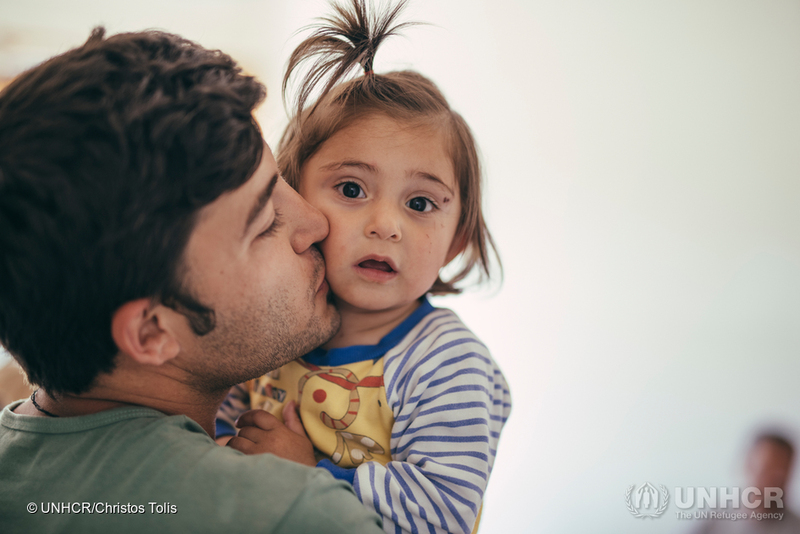 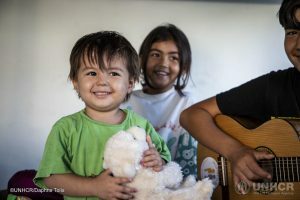 The family has regained a sense of normality in their everyday life since they have been moved out of Moria camp and into an apartment rented under UNHCR’s ESTIA programme, funded by the European Commission. 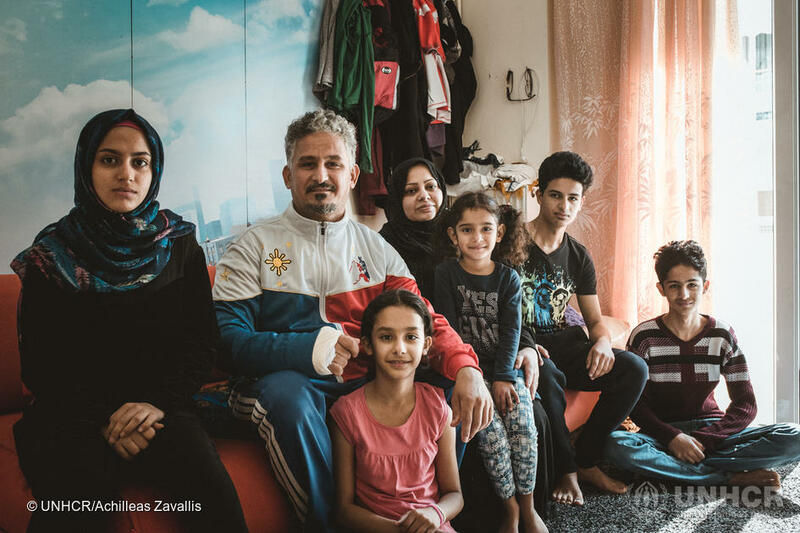 Mohammed, Aziza and their five children live in an apartment in the outskirts of Karditsa, a small city in central Greece. 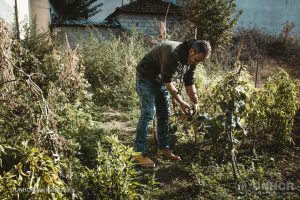 In the back yard of their new home, Mohammed created a small garden that he tends to daily. 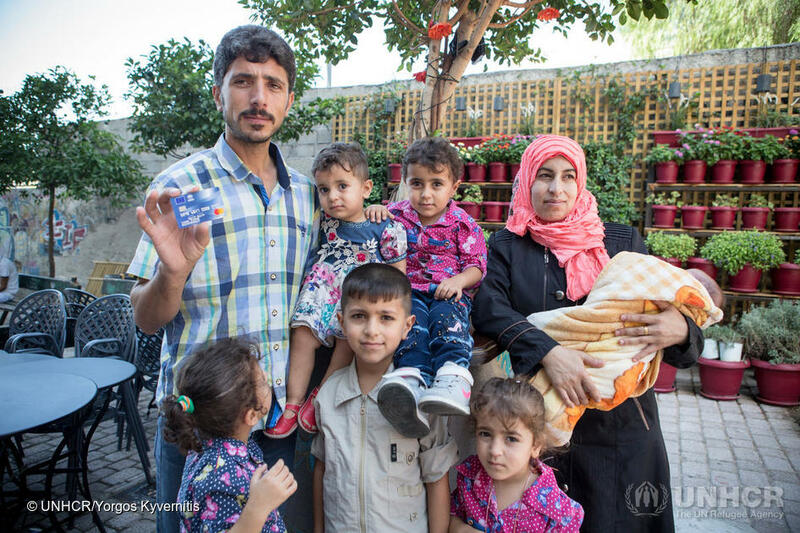 Khadije, Dawud and their five children fled Afghanistan. 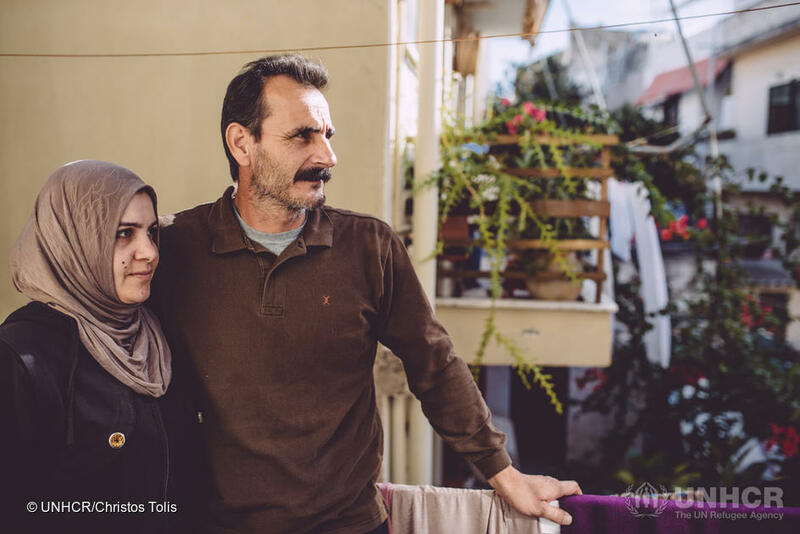 After a long and hazardous trip the family of seven passed from Turkey to Lesvos. 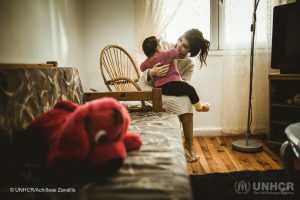 They now live in a rented apartment provided by UNHCR, under the EU funded Emergency Support to Integration and Accommodation – ESTIA program. 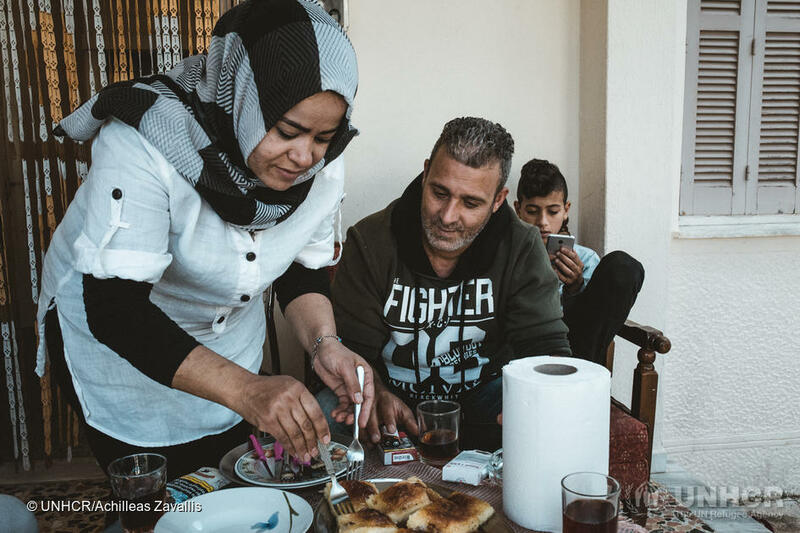 Ashti and Diplak Jamal and their children, Mohammad and Sarah, fled war-torn Iraq and managed to reach Greece at the end of 2017. 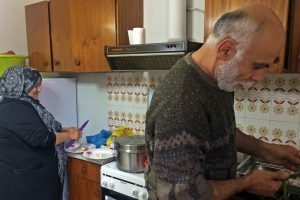 While the family awaits for their asylum application to be processed by Greek authorities they share a small apartment provided by Solidarity Now as part of the EU funded ESTIA programme by which UNHCR in cooperation with the Greek Government, local authorities and NGO’s acting as implementing partners provides urban accommodation and cash assistance to refugees and asylum seekers in Greece. Aro, Banaz and their baby daughter Liza live in a small apartment in Thessaloniki. The family that fled Iraq, has applied for asylum in Greece and are now waiting for their application to be processed by the Greek authorities. 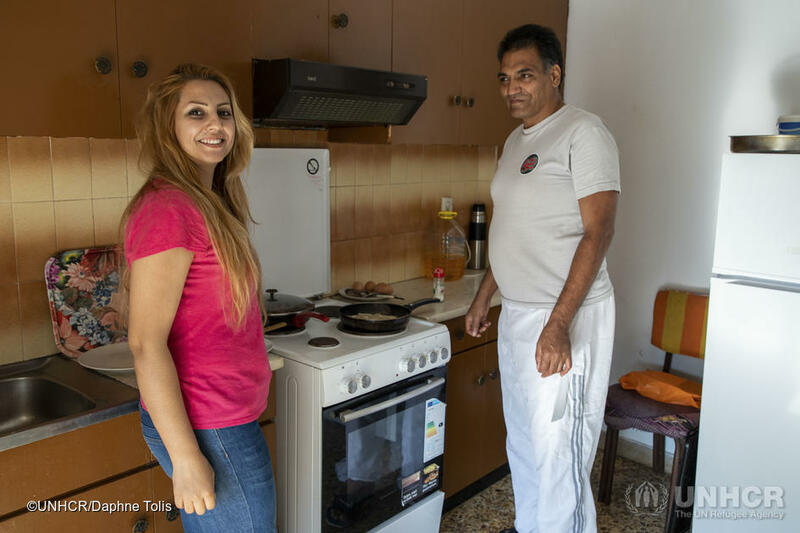 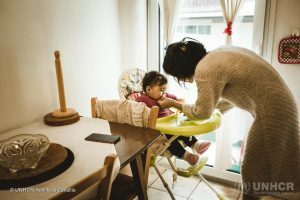 They now live in an apartment rented as part of the ESTIA programme by which UNHCR provides urban accommodation and cash assistance to refugees and asylum seekers in Greece. 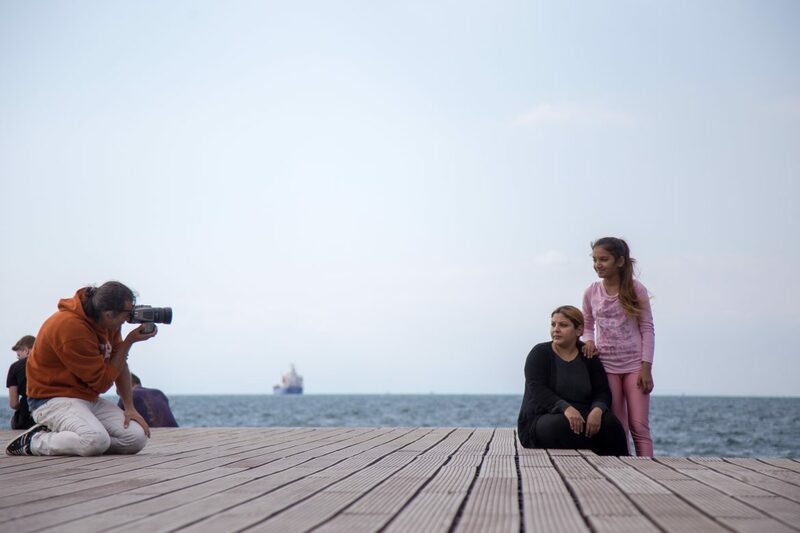 Following its first successful presentation in Athens and its warm reception in Heraklion, Crete, the interactive art project Face Forward …into my home is hosted in Thessaloniki, from 9 November to 9 December, and is introducing the public to the faces and stories of 26 refugees and asylum seekers who have been forced to leave their homelands and are rebuilding their life in Greece. 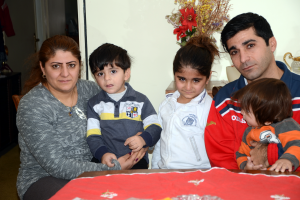 After being forced to leave Iraq Quasan, Satar and their five children, found a new home in the centre of Karditsa, a small town in Central Greece. The small apartment they live in is part of UNHCR’s ESTIA, the Emergency Support to Integration and Accommodation programme, which is funded by the European Union Civil Protection and Humanitarian Aid (ECHO). 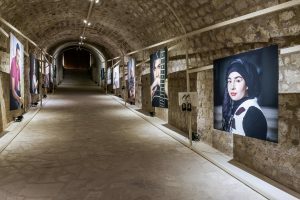 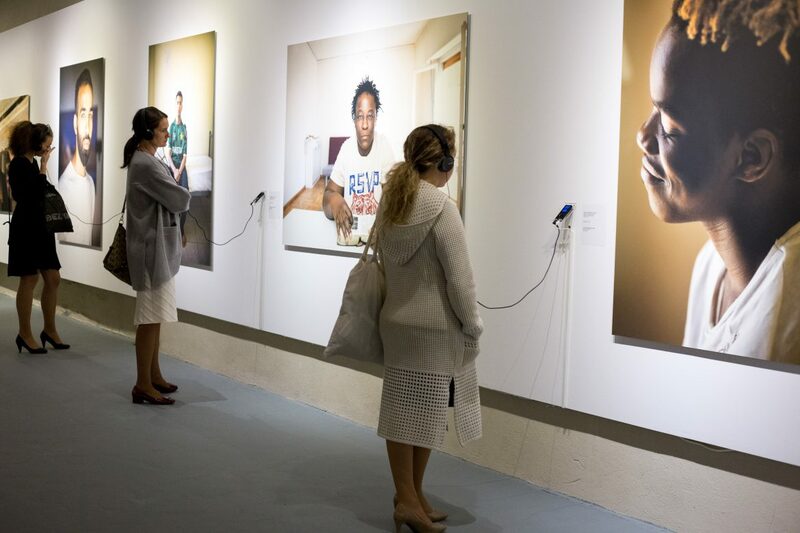 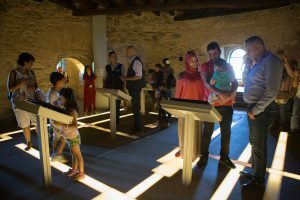 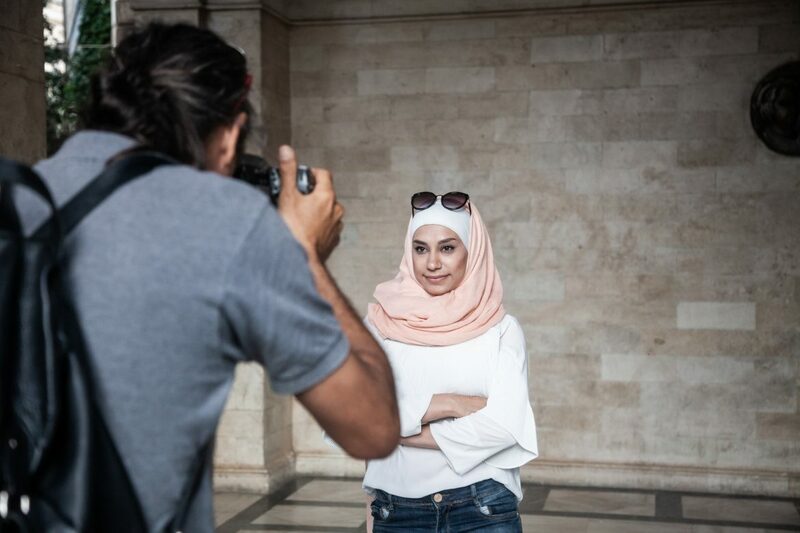 Following its warm reception in Athens, the ''Face Forward ...into my home'' interactive art project is now hosted in Crete, from 14 September to 14 October 2018 at Makasi Gate, in the framework of the Municipality of Heraklion Festival “Crete, one history, 5+1 civilisations”, and is also expanded with the participation of refugees who reside on the island. 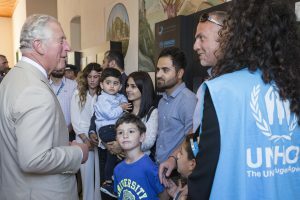 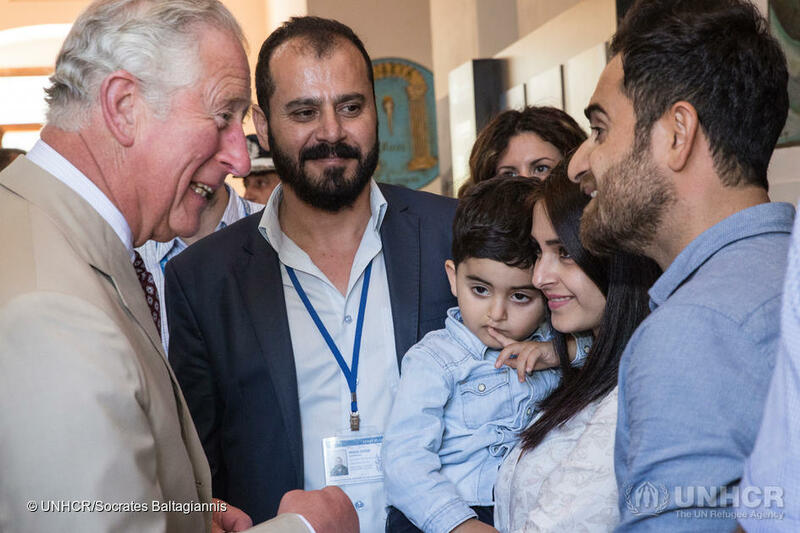 The Prince of Wales and the Duchess of Cornwall met refugees benefitting from UNHCR’s ESTIA accommodation programme on the Greek island of Crete. 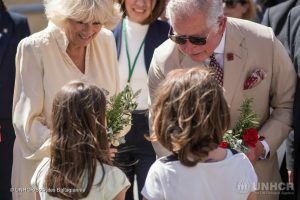 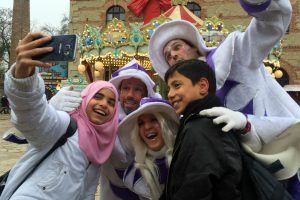 The Royal couple learned how the EU-funded scheme is housing the most vulnerable refugees and met families from Syria and Iraq, some of whom survived traumatic sea crossings and near-death experiences. 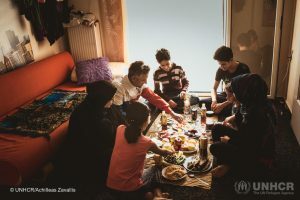 Ahmed, his wife Jasmin and their four young children, Reem, Belal, Mustafa and Fatima, are asylum-seekers in Greece, originally from Al-Hamidiyah, Syria. 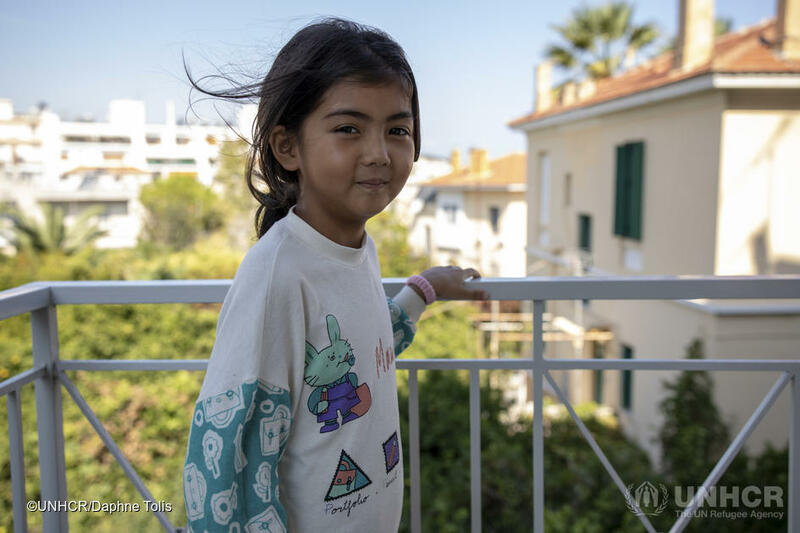 The Mediterranean coastal town on the border with Lebanon was established as an enclave for Muslim refugees from Crete about 120 years ago. 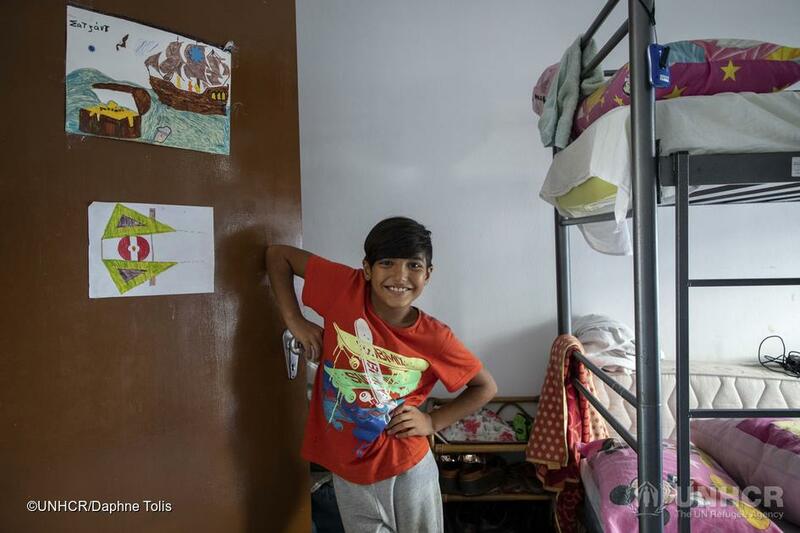 Ahmed grew up speaking Greek and he can neither read nor write Arabic. 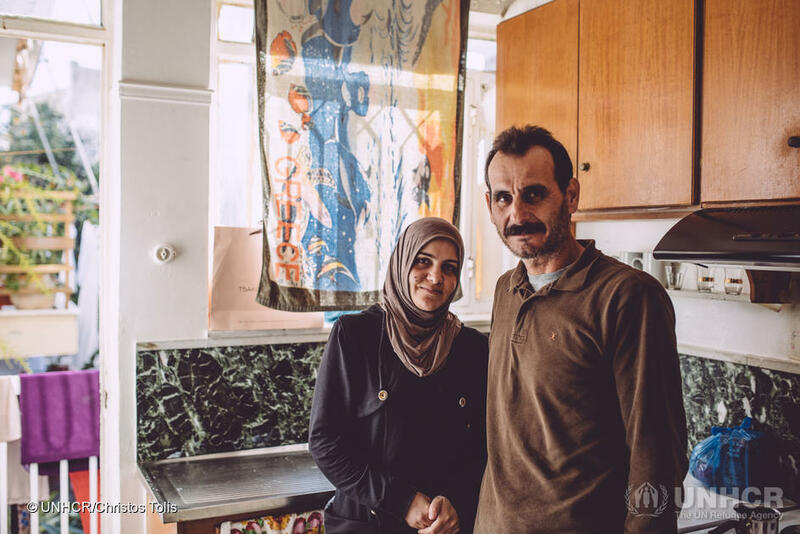 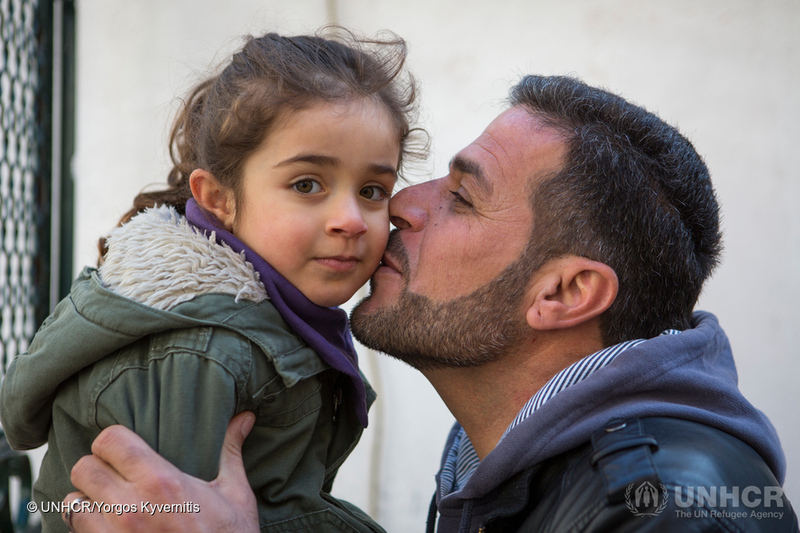 The family fled to Greece to escape the approaching conflict in Syria. 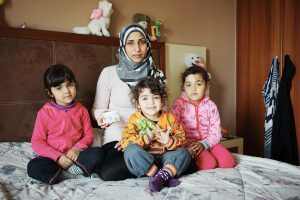 Μυstufa, Sultana and two of their children, refugees from Syria, spent their first festive season in Trikala in Central Greece. 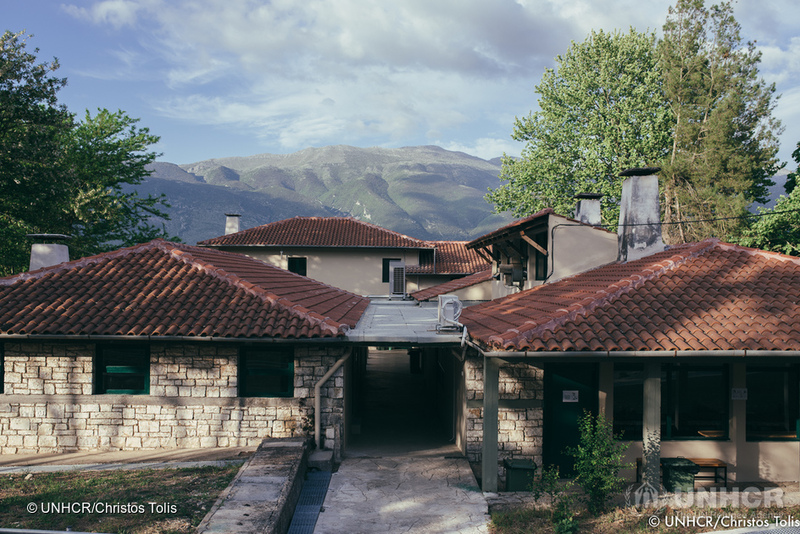 It is a city well known around the country for the “Mill of Elves” (Mylos ton Xotikon), its impressive Christmas park, which attracts several visitors every year. The Syrian family is living in an apartment in Trikala city through the programme ESTIA and has managed to find new friends, a welcoming local school and the hope that they can make a new start no matter where they are. UNHCR works with its Greece Cash Alliance partners to provide monthly cash assistance to refugees and asylum-seekers in Greece. Cash encourages self-reliance, provides dignity and allows choice. 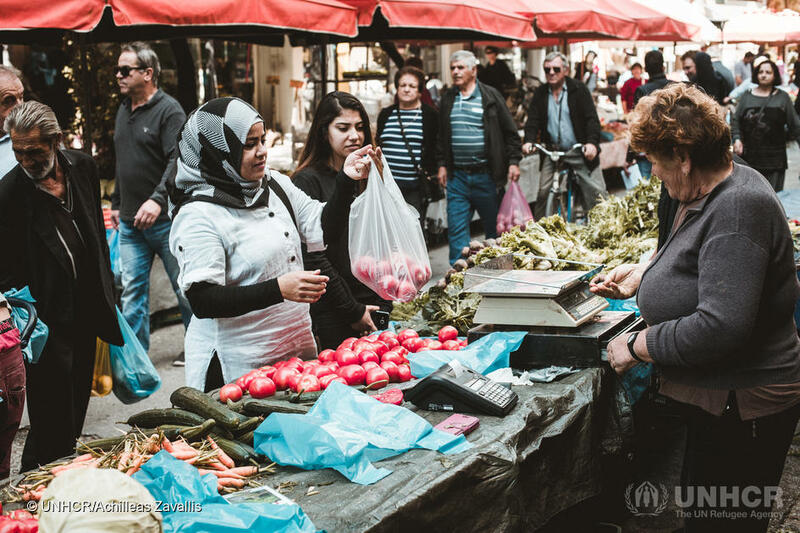 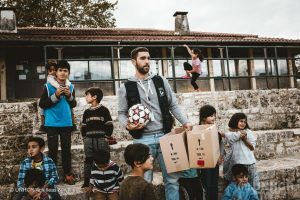 Refugees use cash to meet their most basic needs (food, clothes, hygiene, communication, transport and school supplies for children), while at the same time contributing to the local economy. Since April 2017, more than 49,000 refugees and asylum-seekers are estimated to have received cash assistance in Greece at least once. 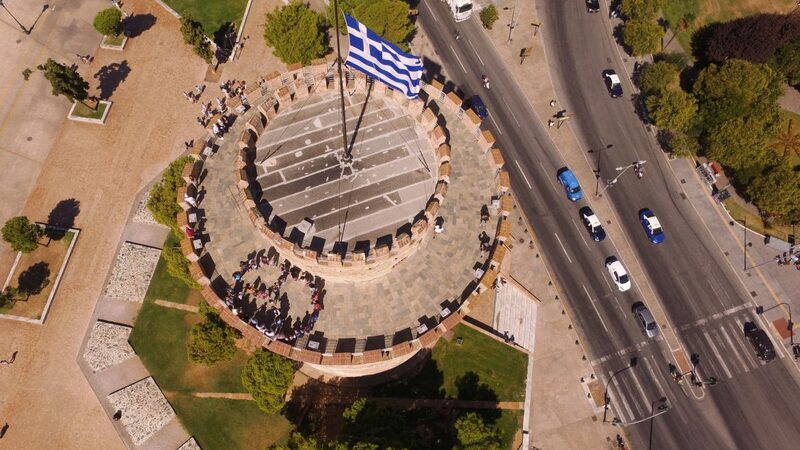 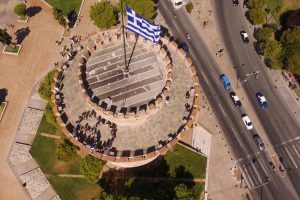 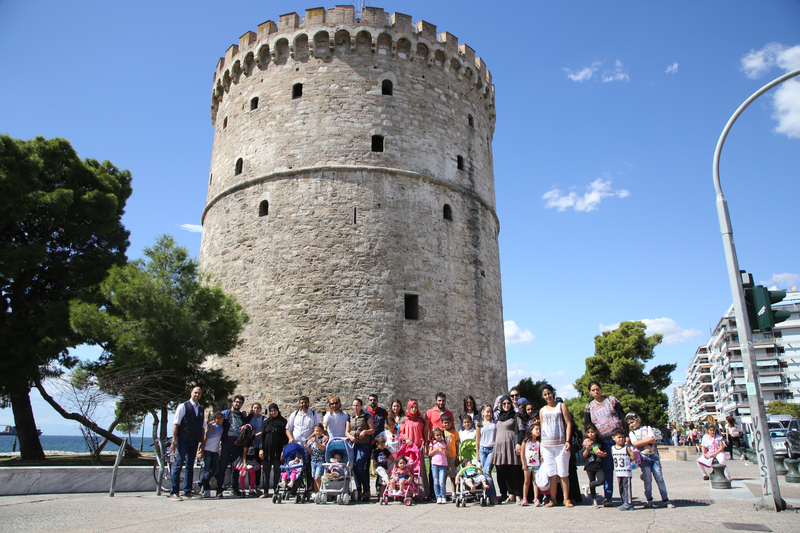 To mark International Day of Peace, 30 refugees enjoyed a free tour of the White Tower, the imposing seaside symbol of Thessaloniki. 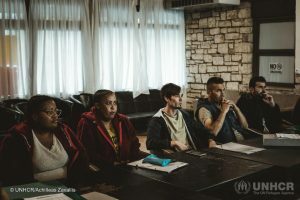 The visitors all live in apartments ijn Thessaloniki, Northern Greece, managed by Solidarity Now under ESTIA, the Emergency Support to Integration and Accommodation programme, which is implemented by UNHCR and funded by the European Commission. 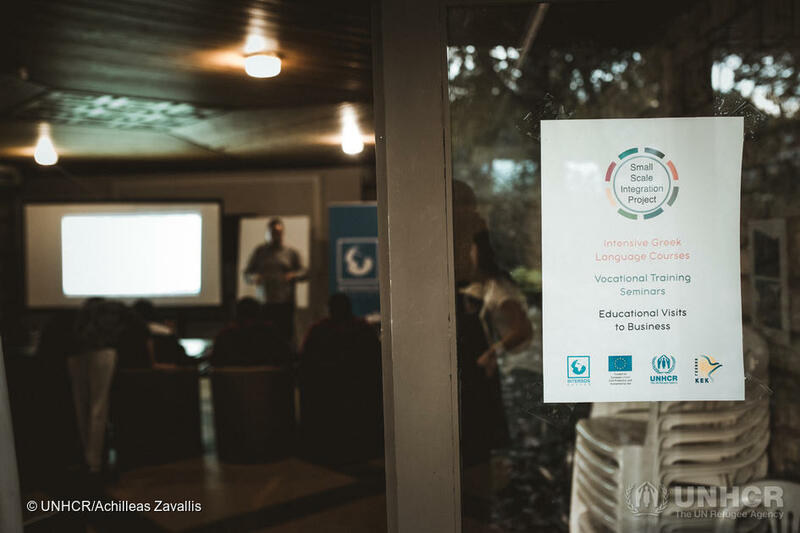 Agia Eleni is a former youth hostel in Ioannina, Western Greece, that has been renovated by UNHCR in the freamework of ESTIA programme funded by the European Commission, helping to home around 500 refugees. 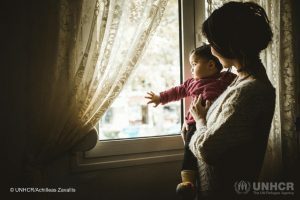 In Kilkis, a small city in northern Greece, families uprooted by conflict in Syria have found peace and a place to call home. 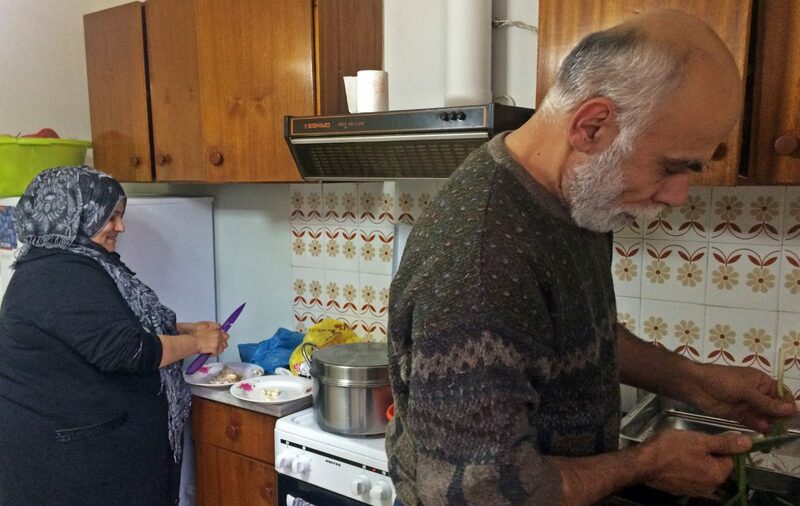 The families, beneficiaries of the ESTIA programme that is funded by European Union Civil Protection and Humanitarian Aid, are accommodated in dignified conditions in apartments, managed by Omnes voluntary association and receive cash card assistance. 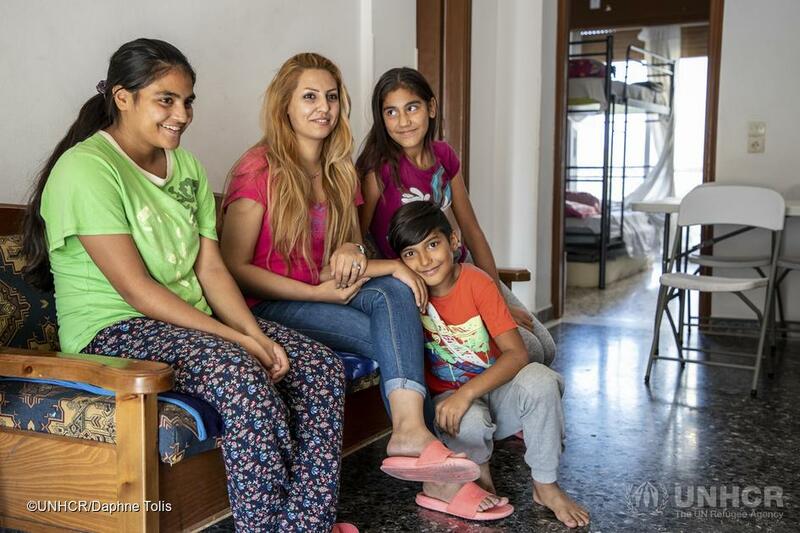 Syrian Yezidi refugee family live in a flat in Athens through UNHCR's accommodation programme. 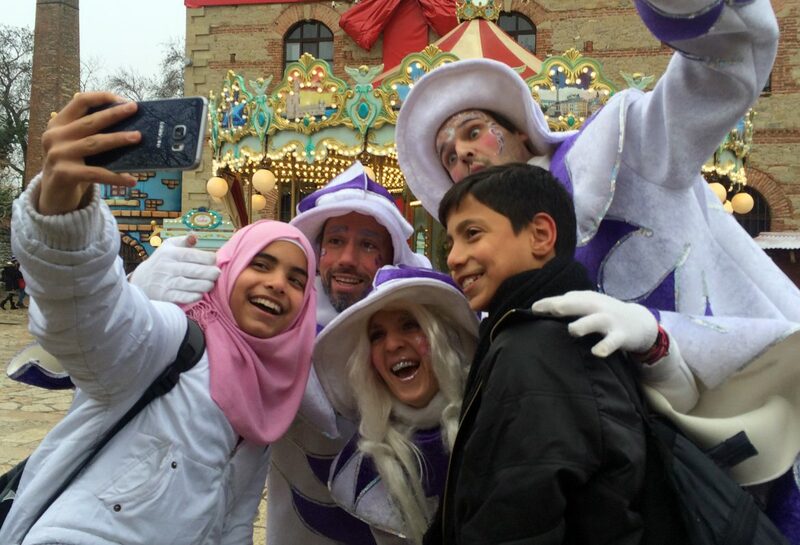 This allows them to leave the refugee camp behind while they wait for clarity from the authorities on their asylum. 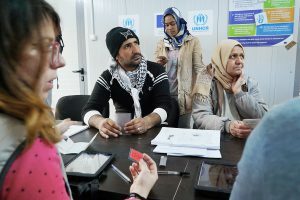 In mid-February, UNHCR continued with the roll-out of its existing cash assistance programme in Northern Greece, as part of the ESTIA programme. 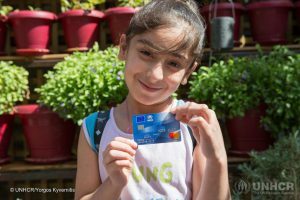 UNHCR distributed 500 cash cards to 1,200 people staying in apartments and hotels in Greece’s Central Macedonia region. 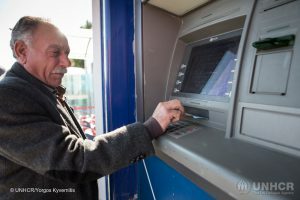 Since April 2017 more than 58,000 asylum-seekers and refugees received cash assistance in Greece. 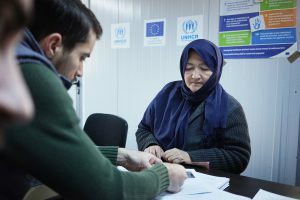 Here are the five things you need to know about UNHCR's cash assistance programme. 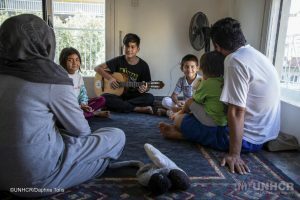 On the tiny Greek island of Tilos, population 700, 10 families from war-torn Syria have found refuge and work and a sense of community. 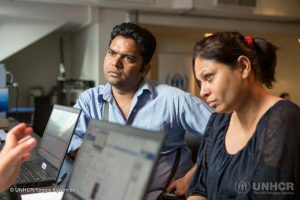 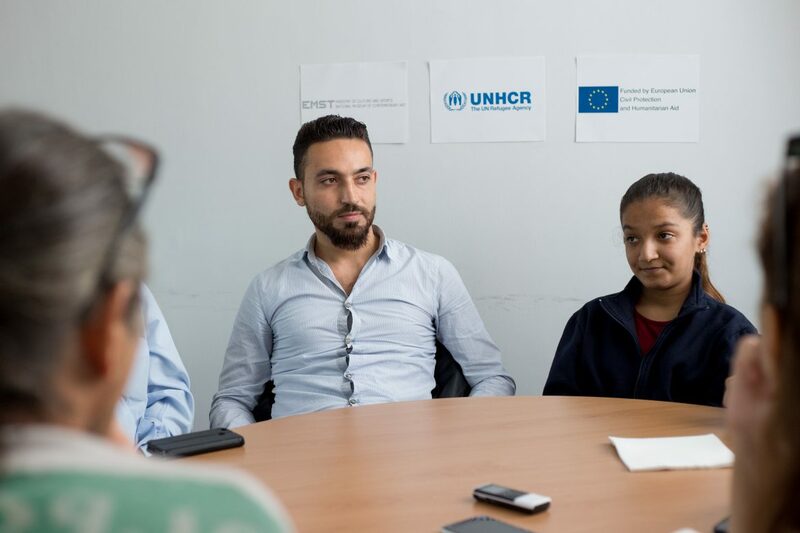 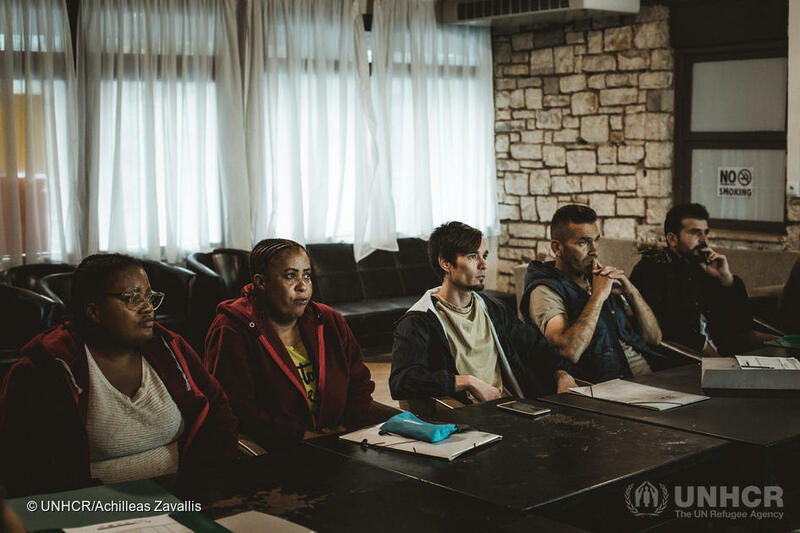 UNHCR and its partner Solidarity Now, with European Commission Funding support, have been providing accommodation and language and education classes for adults and children for almost a year. 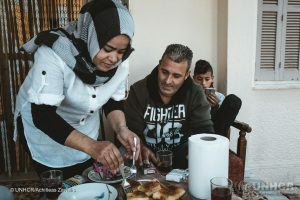 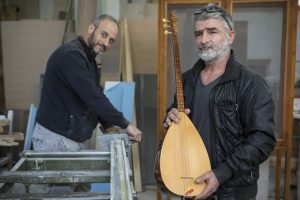 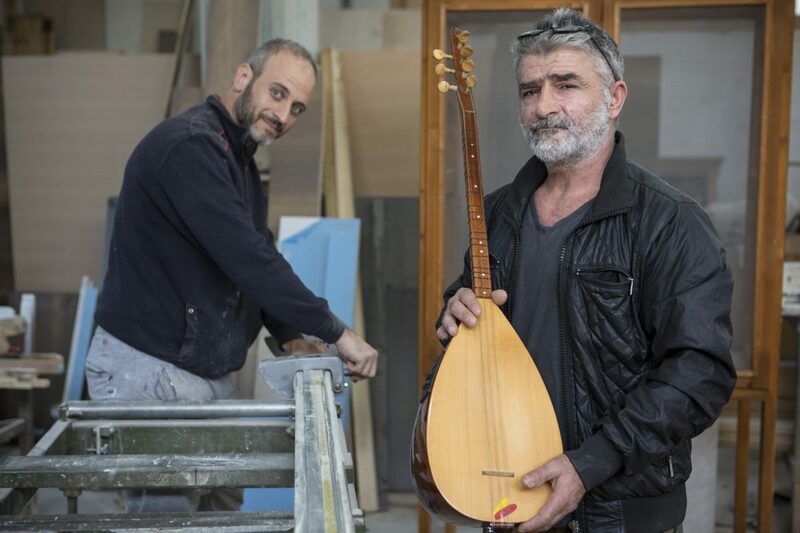 Many of the refugees –all of whom have been granted refugee status and have the right to work – say they want to stay on the Dodecanese island, and the islanders say they are honoured to host them. 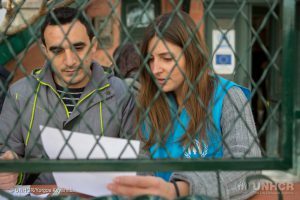 On 5 May 2017, a new facility in Western Greece opened its doors to families fleeing war and persecution. Agia Eleni was renovated by UNHCR, with funding by the European Union Civil Protection and Humanitarian Aid, and transformed into a self-contained accommodation model, with capacity for about 500 people. 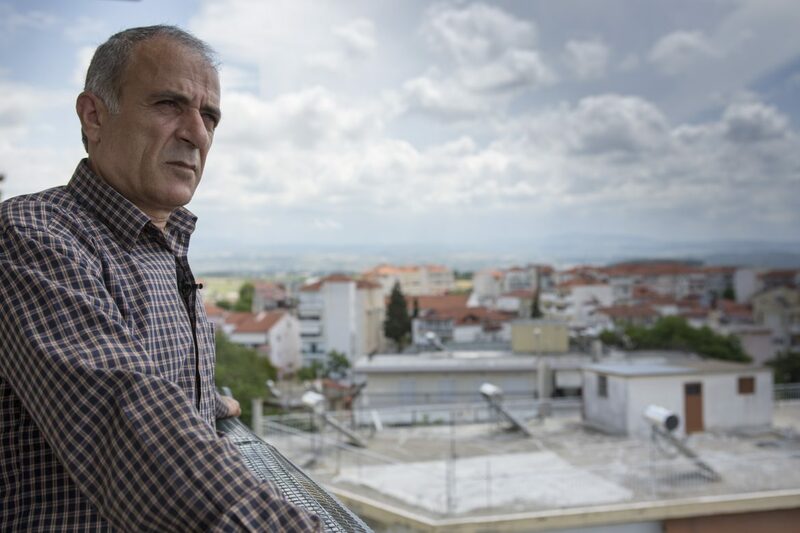 Jumaa Alo, a 52-year-old Syrian refugee from the town of Afrin, and his family were among the first group of refugees that arrived in Agia Eleni from Chios island. 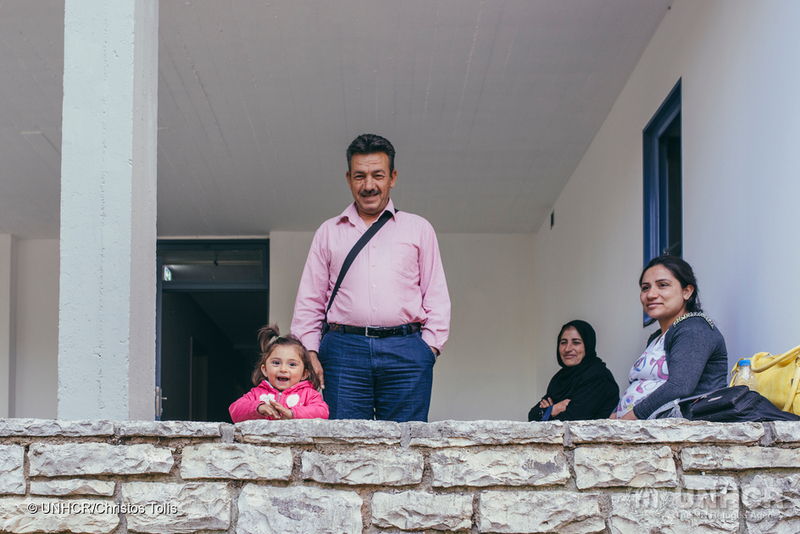 They found safety and a new home in this former children’s hostel. 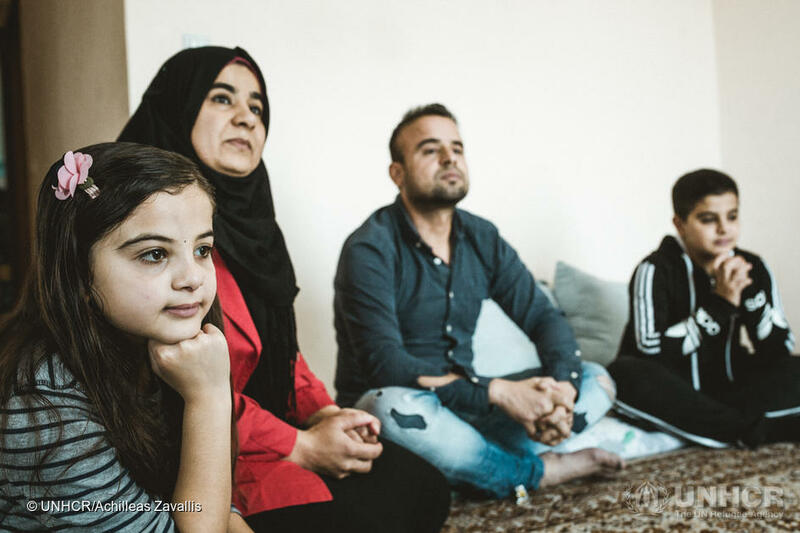 In Kilkis, a small town in northern Greece, families uprooted by conflict in Syria, have found peace and a place to call home. 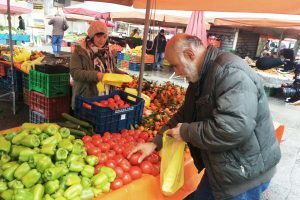 They gradually become part of the local community that had once welcomed refugees of Greek origin. 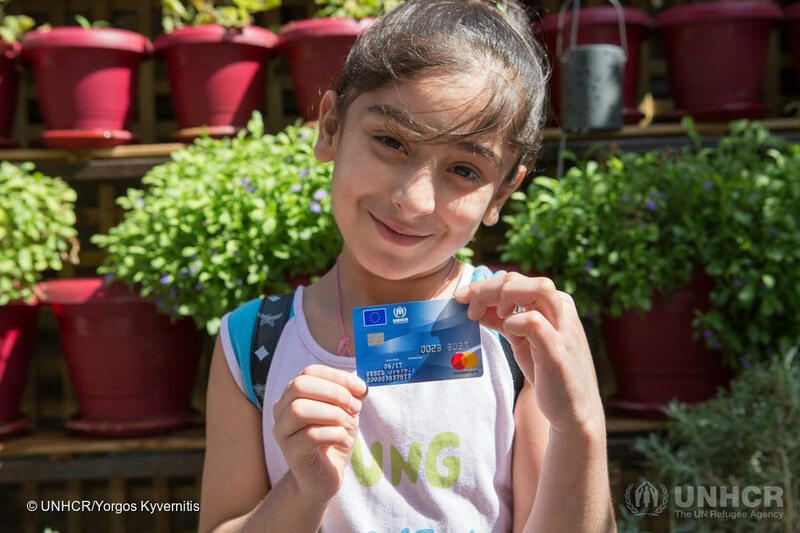 UNHCR, the UN Refugee Agency, continues with the roll-out of a harmonized cash card assistance programme in Greece, as part of ESTIA. The programme helps asylum seekers cover their basic needs, enables the dignity of choice and restores confidence while supporting the local economy. 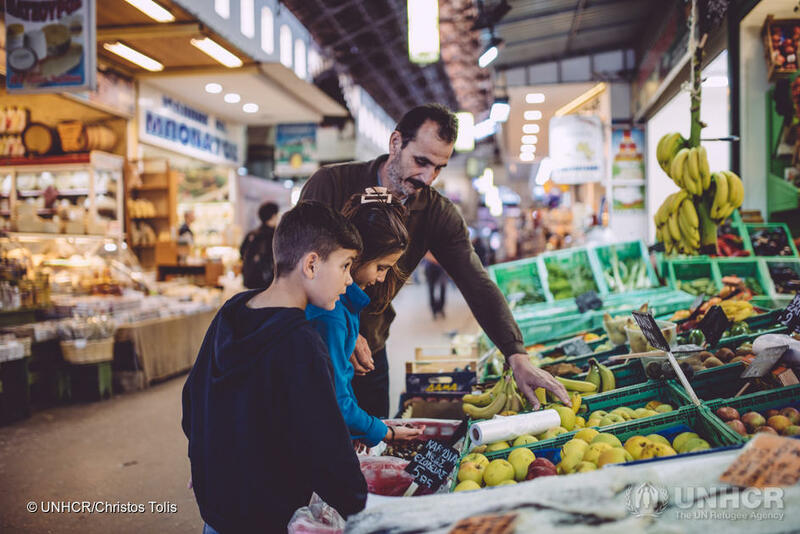 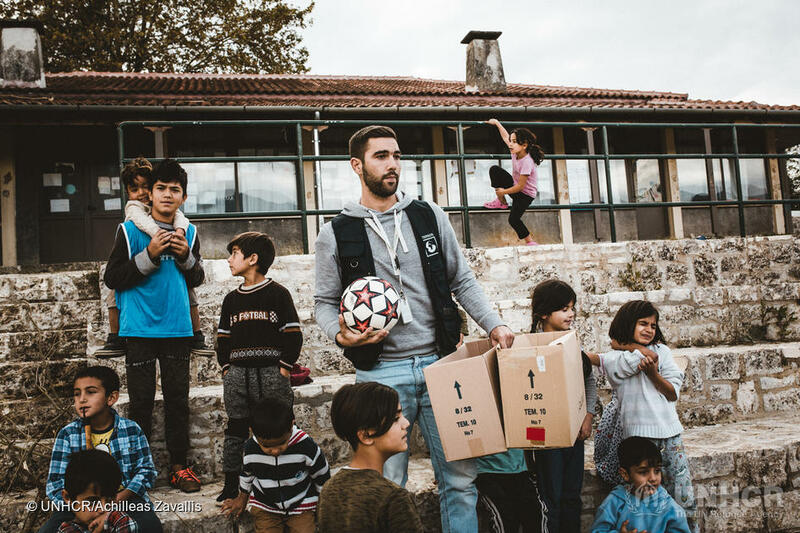 A small town in Central Greece sets a positive example for the reception and integration of refugees in host societies with respect and safety. 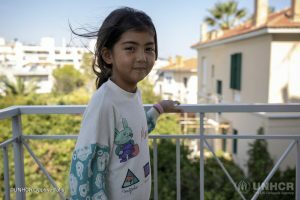 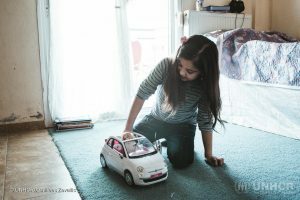 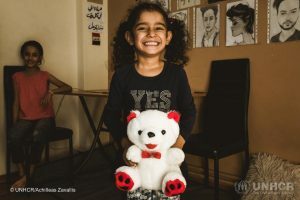 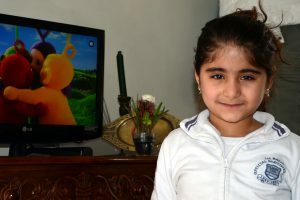 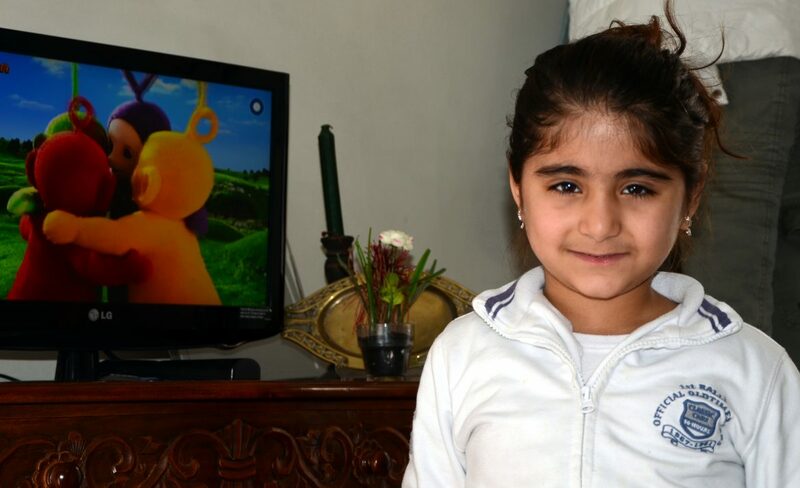 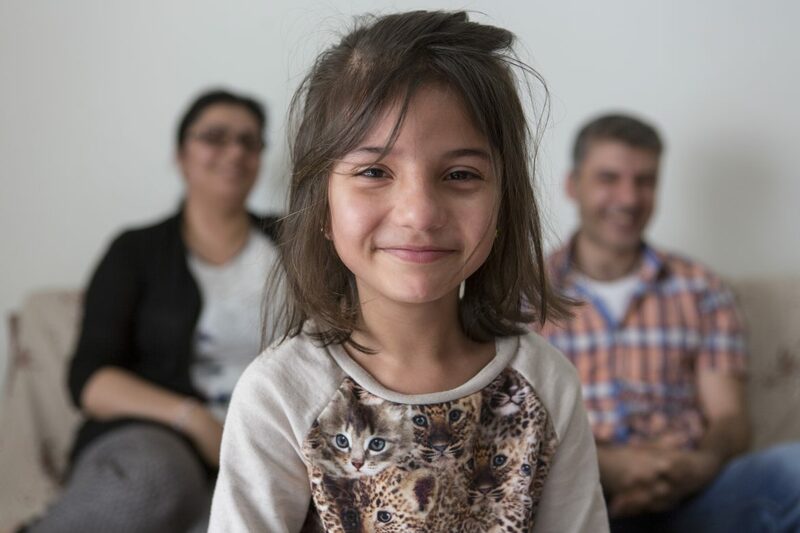 In Livadia, thanks to the accommodation program implemented by UNHCR and the local Municipality, refugees like 8-year old Marah and her family, have the possibility to return to regularity and dream of a future without war and fear.